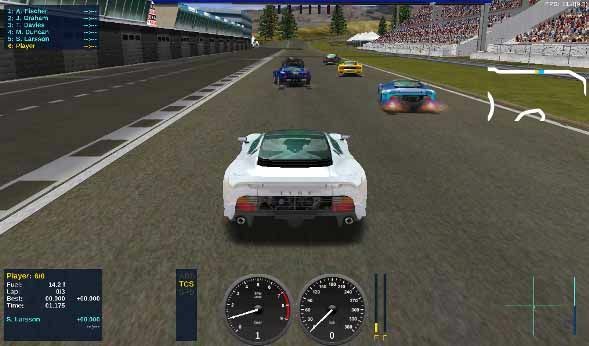 Free download Speed Dreams racing game for PC. It is an open source free game for PC. Very easy to download, install and play. After installing Speed Dreams game, you can change control setting accordingly. Use F2 and F3 keys to change the vehicle view for you. Play and enjoy the game using keyboard or mouse. Use T key for TCS for better control of your car.